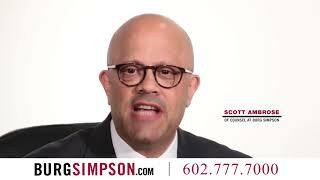 At Burg Simpson, we believe homeowners deserve the homes they are promised. After all, buying a home is likely the single biggest investment any of us will ever make. 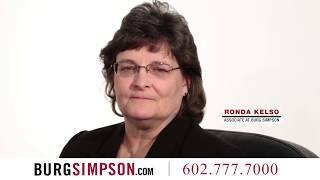 Burg Simpson has long been recognized as a leading construction defect litigation law firm. 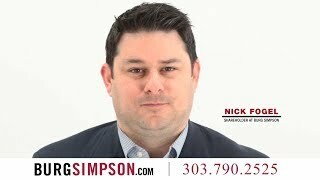 Our Colorado construction defect attorneys work hard to protect the rights and interests of homeowners. We have represented thousands of frustrated homeowners in lawsuits seeking damages for a wide range of residential construction defects. Even if you are not the original homebuyer, you could still have recourse against the builder-developer for construction defects. You may also have legal claims against others who could be responsible for your home’s problems, such as sub-contractors, engineers, and material and product suppliers, all of whom played a role in the construction of your single-family home. If your home has a construction defect and you have been unable to get the relief you need from the builder, call our Denver construction defect attorneys today at 303-792-5595 or fill out our FREE CASE EVALUATION form right now. Foundation/grading issues: Single-family homes need to be built in such a way that water drains away without pooling around the foundation, which can cause huge, costly problems. Bad framing: These issues typically show up around window opening, which can exposure your home to the elements. HVAC: Proper duct installation is critical in HVAC systems. Poorly installed ducts can hamper airflow, leading to poor air quality that can lead to uncomfortable, or even ill, residents. Plumbing: Shoddy plumbing, with badly installed transitions or poorly planned lines, can quickly lead to sewage backups, mold, or early pipe failure. Windows: Leaks through windows or walls near them are not only a sign of bad window installation, but they are also one of the most common types of construction defects. Exterior Walls: Most single-family homes have at least 10 to 20 openings, for things such as pipes, vents, and conduits. Ensuring each of these openings is sealed properly is critical to preserving the life of the home. Improper seals can lead to water damage to the structure of the home as well as contaminate the environment inside. Roofing: The roof over your head could very well be the most important part of your single-family home. Roof problems can include unsealed penetrations, missing shingles, or shoddy underlayment installation, and more. The primary goal of our construction law attorneys is to get any construction defects you have permanently fixed, so the problems do not return and that further damage is not done. We always advise our clients against quick fixes or cosmetic approaches that do not address the underlying problems. We work with single-family homeowners identify highly qualified and experienced construction experts and engineers to evaluate problems, recommend needed repair alternatives and estimate costs. Additionally, we help homeowners deal with emergency repairs while the lawsuit progresses. If you have a damaged roof or spreading water damage, for example, call the construction defect law firm of Burg Simpson today at 303-792-5595 so that we can discuss your case. Litigation can be a costly and time-consuming process. In construction defect cases, we generally attempt to negotiate an amicable resolution with the developer or builder responsible for the problems, without resorting to a lawsuit. When this is not possible, we are fully prepared to aggressively pursue a lawsuit to its conclusion, including all appeals and the resolution of any insurance coverage issues. If you think you have a construction defects claims, call the Colorado construction defect lawyers at Burg Simpson before things get worse. Call us now at 303-792-5595. Almost all of our construction defect fee agreements are on a contingency fee basis, which means that our fee is determined as a percentage of your recovery. We only receive a fee for our work if we obtain a recovery for you. If you do not receive a recovery, then you owe us nothing. If you decide to hire us to pursue your claim, all of this will be explained in a detailed written fee agreement. We work to maximize your recovery so that after our fees are paid and you have enough money left over to fix as many of the problems as possible. In all cases, our goal is to ensure that you get the home you were promised. Since each person’s situation is as unique as their home, and the laws are constantly changing, you simply can not rely on anything you read here – or on any website – as legal advice. To understand your legal rights you must speak directly to a lawyer about your problem. Call us today at 303-792-5595 or fill out our Free Case Evaluation form before it is too late!